Your private hajj company should be able to present a number of package options to you for your hajj trip. It smacks of inexperience and disorganisation to explain hajj packages verbally without any written document or a brochure. Gone are the days when poor hajj arrangements hide under euphemistic expressions as: ‘early departure and return to Nigeria on a reliable airline, with accommodation in Makkah and Madinah very close to the Haram.’ How early, how reliable and how close…? For early departures and return, pray, tell the exact date, and name the so called reliable airline. If indeed your accommodation in close to Haram the hotel should be not anonymous; mention the hotel! I left my hotel in Dubai (which is not Doha; Nigerians are welcome here) and boarded my connecting flight EK803 to Jeddah, Saudi Arabia. Shortly before take-off (that never was) a slight problem was detected: water was not running in the lavatories. At least that was what we, laymen, could see as something unusual with Emirates flights. The pilot informed us later that there was a technical fault with the aircraft and that the engineers were doing their best to fix it. He assured us that we shall be airborne in few minutes. After about 30 more minutes the pilot was back with the information that the engineers have decided on replacing a part the spare of which will be brought from a warehouse metres away from the runway. The pilot was consistent in keeping us posted at regular intervals on what was being done about the delay. Nobody was asking any questions. Everybody was aware of what was causing the delay. We were all worried but informed on the various happenings towards solving the problem. For the first time in my life I boarded a flight, stayed for about seven hours in it, in the same position without movement; I would have reached my destination in 2 and a half hours. What was more painful, we had to pass through screening again, waiting for another 40 minutes for the other flight for be made ready for boarding and then boarding a second time. You don’t need to ask me how I felt during that period of uncertainty with the best airline in the world. I was grieved and sad. Emirates wishes to apologise for the unfortunate delay encountered on flight EK803 from Dubai to Jeddah, on 25 September. As you are aware the aircraft scheduled to operate this flight experienced technical difficulties. Although every effort is made to achieve on-time departures, which is an integral part of our product, there are occasions when flights are delayed/cancelled due to unforeseen circumstances. The safety and security of our customers and staff is of paramount importance to Emirates, and we are sure you will concur with this position. Emirates appreciates that your travel has been prolonged, and we can assure you that every effort was made to ensure that your travel plans returned to normal as soon as possible. Whilst we cannot change what has occurred, we would welcome the opportunity to restore your faith in Emirates. 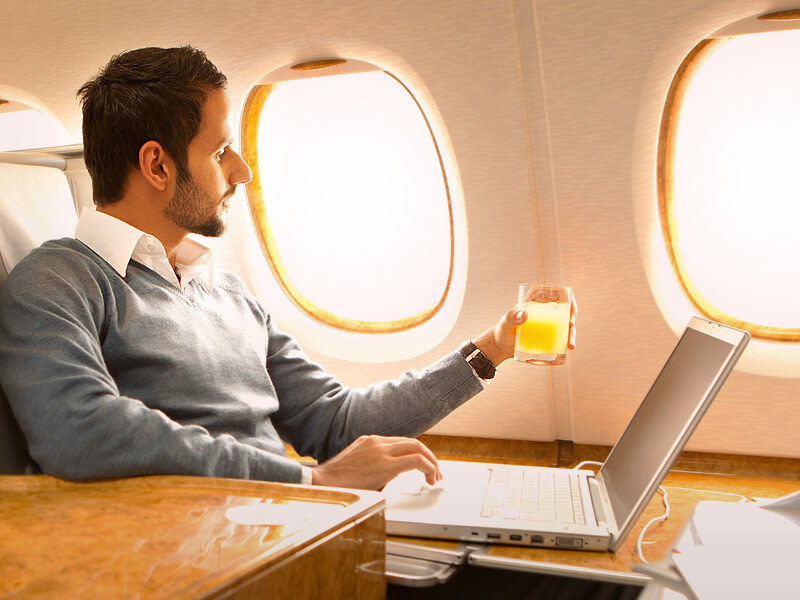 As a Business class passenger/Silver Skywards member, we have credited your Skywards account with 30,000 complimentary miles, as a gesture of goodwill. Once again, please accept Emirates sincere apologies for the disruption to your travel arrangements. Let me assure you personally that this is an isolated event and we will do our utmost to restore your confidence in Emirates as your airline of choice. As I a service provider I learnt a lot from the above delay by Emirates, and the subsequent correspondence from its Vice President Customer Affairs. Even with the best of arrangements unforeseen problems may occur; what is expected of me, Without Prejudice or Admission of Liability, is constant update on what is being done to rectify the problem; to apologise, recognise the hitch and provide a suitable alternative followed, where applicable, by ‘a gesture of goodwill’ (like, in my case, the grant of 30, 000 complimentary mile to my Skywards account) for the purposes of restoring the confidence of my clients. Just imagine what would have happened if you were on EK803 going for hajj, and you had a Saudi Arabian Airlines ticket to connect to from Jeddah to Madinah. As I wrote here a fortnight ago, you need about 10 hours between the time you will land in Jeddah and that of you flight to Madinah in order to avert missing your flight and losing the fair of a non-refundable ticket. This is just one out of many likely occurrences in hajj. To explain situations like the one I related above hajj packages should include an induction course for intending hajjis. I’ve mentioned on this page in the past that hajj induction does not only denote teaching hajj rites to intending pilgrims. I concede that it involves couching them on how to perform hajj – many of them actually need it, but hajj induction course, also, is a period where the organised private hajj operator will interact with his pilgrims from Nigeria, explain the package and pass vital information on what the entire hajj programme is vis-à-vis the movement of the group in the Holy Land. Each member will be in the picture, be prepared to adapt to unforeseen hitches – to know beforehand how smooth or rough a certain segment of the exercise may be. We need such forum as will afford us the chance of meeting members of the group even before we start the hajj journey. Moreover, the hajj induction course is a Q and A session between the hajjis and the operation wing of the private hajj company. If all of us will introduce the hajj induction course in our packages we would nip a lot of problems into bud. Information dissemination is the key to avoiding suspense which breads suspicion and ill-feelings between the private hajj company and its clients. Once people don’t know and are not informed, they begin to assume. The above hadeeth was mentioned on this page last week when I wrote on THOSE WHO CAN AFFORD THE JOURNEY. Yes, any journey, including that of hajj, is a kind of torture. There are two groups of people both missing the import contained in this hadeeth: on the one hand are those who think that any form of comfort in hajj is haraam; that the more hardship you encounter during the performance of pilgrimage the more reward you get; and on the other, those who would be averse to the slightest of discomfort in hajj because they cannot compromise comfort. Both groups are wrong! Allah has not placed for us in religion any difficulty (Al-Hajj 22:78); He desires ease and not hardship for us in everything of service that we perform for His sake (Al-Baqarah 2:185). They have misunderstood religion those who think that one will get more reward by undergoing avoidable hardship and exertion in the performance of hajj. Such people see no point in pilgrims staying in decent accommodation in Minaa, Arafaat or Muzdalifah – what! Mattresses and pillows in Minaa…? Subhaanallah! To these people, this must be a blameworthy innovation (bid’ah). What an astounding thing…; they frown at hajjis that move in air-conditioned buses. I wonder why such people do not travel to hajj by road; and you would find some of them travelling on business class tickets; I’m going for ibaadah, he will say, so I can stay anywhere; I don’t want good accommodation or anything near Haram. But why not travel on economy, or better still by road if inconvenience is your understanding of ibaadah? The ideal for more reward in their confused psyche is for one to stay in tents within the Holy Territories devoid of carpeting and proper hygiene, and for one to trek from Minaa to Arafaat, from Arafaat to Muzdalifah, and from Muzdalifah to Makkah. This misguided opinion has led to the slumping in the Holy Mosque or even death of many who after finishing this medal less marathon on the 10th day of zulhijjah would attempt to perform tawaaf al-Ifaadah with a million other hajjis. We can perform hajj in comfort and ease if we can afford it bearing in mind that hajj is no picnic. You can have all the money to pay for the most expensive packages but do not assume that will be like cruising your way to holiday in a private yacht. Alhamdulillah, some hajj tour companies in Nigeria can compete with any in the world in providing quality services to pilgrims but you find hajjis saying when stuck in holdup for hours around Makkah for instance, ‘What is all this wait in traffic? People recommended your company to us, that you are the best, that if we don’t want to suffer, we should join your group.’ No, undertaking the journey to hajj denotes preparing to take part in religious ceremonies with more than 3 million other hajjis, moving towards the same destination at almost the same time. There is no such event in the world. Hajj is indeed unique! Madinatul Hujjaaj (City of the Pilgrims) is the Hajj Terminal and your first arrival point during your journey to hajj, except where you are lucky to have a direct flight to Madinah. Madinatul Hujjaaj is like a grave, a prison of some sorts or an apt micro-depiction of the Day of Judgement. The mere mention of this place sends shudders into the veins of those who have been there. Of the four or so terminals of the Jeddah airports, this is farthest from Makkah. It is too vast and at the same time too rowdy during the peak periods of hajj arrivals and departures. Hardly will anybody notice or care about your problems; everybody is preoccupied with how to sort themselves out of this desolate, harsh and unfriendly environment. Many are trapped here for days when they arrive and or when they are brought a second time after observing their hajj rites waiting for their flights back home. Prices of everything here are quadrupled if you are lucky to get what you are looking for. As soon as you come into the arrivals hall you are greeted by indifference from airport officials that have attended to millions of pilgrims on that day’s shift. You will be left there for hours on end unattended. You cannot protest or complain to anyone even where you can speak the lingua franca. Here nobody cares who you are in your country or what type of package you paid for; it is a shocking status leveller for the most arrogant. You are just a pilgrim like other millions from around the world. Here, poverty stricken officials who can be bribed with a trifle will not be found like we have at home; you just have to swallow your pride –provided you don’t choke on it. In this arrivals hall you will be administered fresh immunisation injections like the one intending pilgrims have and be given certain tablets that you must swallow in the presence of the officials; medics here do not believe in what is contained on our ‘yellow cards’ as if they knew that you can buy one, with genuine department of health’s seal of approval, even at the point of boarding your flight for only five hundred naira, write your name and passport number on it and you are free to travel; your immunisation is complete! The queue at the Immigration counter is endless. It is like the siraat over which all must pass on the Last Day. VIPs are no VIPs here until they have their passports stamped, and move out of the arrivals hall where they may be received by protocol staff from the Nigerian Embassy or Consulate, or their hajj tour operator. Do not think that your wait has ended. It has just begun! You still have 2 to 4 hours more of waiting if your destination is to Makkah depending on what options are at your disposal for an exit strategy. If you choose to go out with your passport illegally and you happen to arrive in the morning, you have to wait until night when evil things are easier to commit. For a price you are smuggled out of this dungeon in jeeps with tinted classes. Don’t be surprised if you find yourself lying down motionless in the roomy luggage compartment with a former this and a former that from Nigeria. If you succeed, you are free, and with your passport in hand you can go to Makkah on your own arrangement or travel to Madinah at your convenience; if you are caught, the car, its driver and illegal cargo are consigned to sijin (prison); your hajj would not be possible that year; you may watch the hajj live on television screen with other inmates. Thus, a few hours wait has transmuted to months or years on end. This piece is not on the implication, to states pilgrim authorities or private hajj operators, of the above scenario of people absconding with their passports out of the Hajj Terminal. I will address that in another article. But why will otherwise honourable people subject themselves to the humiliation of lying under the seat of vehicles to be smuggled out of the airport? Going out through the legal means is torturous and inhumane. The buses are old, most of them; if you see new models they are hardly assigned to any Nigerian pilgrims. Hajjis are made to form queues; passports are sorted out and once you are on board for a 3 or so hour drive to Makkah (such pilgrim airport shuttles have a designated lane on the highway and a speed limit of 60 kilometres per hour that must be observed for the safety of the hajjis), every movement you make is monitored by the hajj ministry official in the bus who is charged with the task of taking you to the field office in Makkah where all passengers and passports are checked; the number must tally with the original figure at the time the bus left the airport. Your ordeal does not end there. The field office will register the passports while the pilgrims remain seated in the bus for another hour at least before a guide is provided to take them to their hotel or pilgrim apartment. If you happen to have ‘luxurious’ buses in your group, you begin to realise the wisdom behind the ‘exorbitant’ rates you were charged for fully air-conditioned buses. Your mind begins to appreciate the necessity and not luxury of that arrangement. If the passengers on that particular bus are from two different groups and you are so unlucky as to belong to the further place of accommodation, then you have more hours to remain in the bus, because the first group will have to alight first as their destination is nearer the field office than yours. This, in normal times may mean few minutes, but in hajj with heavy traffic around Makkah, it translates to hours; and may Allah bless your soul if your hotel is near the Ka’bah for you may find it extremely hard to reach your destination especially during prayer times as all roads are either closed or diverted. Approaching the Ka’bah area around 6 pm means you cannot reach your hotel until 9pm because the roads will remain closed until after Ishaa prayers! Whether you are common, special, VIP or Platinum; whatever fancy name you were given by your tour operator, your stomach will speak the same language with others. It will demand to be filled. Having a bus with refreshments aboard will greatly reduce the stress. The above reason is what makes some pilgrims throw caution to the wind and find their way out of the Hajj Terminal by all means necessary. Even top officials and dignitaries from Nigeria and any other country would have to wait for at least 3 hours within which time the protocol staff will seek for kafaalah (sponsorship) clearance for them to move out of the airport with their passports. Nobody goes out of Madinatul Hujaaj with their passports. All passports are collected only to be given back to their owners at the same place before boarding their return flights to their respective destinations. For normal pilgrims travelling through an international hajj tour arrangement; if you come out of the arrivals hall and your tour operator is not at the airport, you are on your own and may Allah help you. What I have mentioned so far has to do with those who start with Makkah. If your destination is Madinah; and many people prefer to start with Madinah, then your waiting time depends on what period of the month of Zul Hijjah you arrive and the availability of Saudi Arabian Airlines flights (the only local airline allowed) taking off from the Hajj Terminal. Prepare your mind to stay for at least 10 hours if you arrive around the 1st to 3rd of the hajj month; many have had to stay for more than 24 hours to connect to Madinah. This is quite unusual to regular travellers, but this is hajj! Book an earlier flight if you like; you are sure to miss it in case the officer at any desk decides to smoke or have Arabic coffee for some time. Tickets here are non-refundable. Prince Muhammad Bin Abdul-Aziz International Airport in Madinah is the opposite of Madinatul Hujjaaj in Jeddah. Everything here is appealing, welcoming and peaceful as if to remind you that when life became hard for the Messenger of Allah (SAW) and the believers along with him; when the torture and persecution of the Makkan Mushriks (idolaters) became more than flesh and blood could stand, Allah gave permission for them to flee to Madinah where the people here accepted them, took them in and helped them. The people here are not like the people you meet in Jeddah or even Makkah. You can feel it within your system that you are in a serene territory. You can perceive it from people’s demeanour and disposition that you are home. You are more likely to be ill-treated in Makkah than in Madinah. Even in the Ka’bah many people would not create a room for you to sit down in the row of worshipers waiting to offer salaah but in Madinah you are called to come sit and the room is for you. No wonder then that this is where Allah has chosen to keep the body of the Holy Prophet (SAW). No wonder then that the Messenger of Allah (SAW) said that by the time corruption overwhelms the world; true religion of Islam shall retreat to Madinah as a snake retreats into its lair. The arrivals hall here is not as rowdy as that of Jeddah, and the airport officials are friendlier. Actually, you could land in Madinah, finish immigration, baggage claim processes and still leave the airport for your hotel within two hours, even at the peak of the hajj season. The only problem you could have at Madinah airport is that resulting from poor arrangement on the part of your tour operator or state pilgrim official. Hajj accommodation contracts are signed according to dates of arrival into Madinah and modes of transportation. No contract is valid with any hotel for any group that will come to Madinah by road from the 25th of Zul Qi’dah, for example. This is because it is against the law transporting pilgrims by road within that time as the roads are officially closed. Only those hajjis arriving by air are allowed into Madinah and that also, according to the dates the accommodation contracts are signed. An example here could be where your tour operator has signed contract for your stay in Madinah after the hajj, after you leave Minaa at the end of your hajj exercise. This information is stored on the Saudi Hajj Database. Then suddenly your tour operator heard of a direct flight to Madinah and decided to make you happy by having you land in Madinah, so he confirmed you on that flight. This is where landing in Madinah will be worse than landing in Jeddah. The airport officials will insist on seeing a copy of the group’s accommodation contract for Madinah and comparing it with what is on the hajj arrivals database. Any discrepancy will not be entertained here. You will remain in the airport for countless hours until the hotel can send a written document confirming that, in the circumstance, rooms have been created to accommodate your group for the period before hajj as against the spirit and letter of the original contract. In this case, the group may leave the airport for the said hotel but the tour operator’s company shall be blacklisted against organizing hajj for the next two to three years. If such a tour operator had been flouting hajj regulations repeatedly, the sanctions would be more severe, may break the cover of corporate protection and hit the man hiding under the name of the company and ban the tour operator for life from taking part in hajj operations. But you know with Nigerians all things are possible. If one company is blacklisted today, he registers another tomorrow – it is business as usual! The unperceiving pilgrims bear the brunt. To avert such tribulations intending pilgrims must insist on studying the hajj brochure or programme of the hajj operator if he has one. You should be able to ask questions in case you spot any digression from the original programme, like the case of starting with Makkah or Madinah. If the programme speaks about landing in Jeddah and starting with Makkah but the company is confirming your tickets for a Madinah flight, I advise you not to travel in that order. Let the company respect its hajj programme otherwise you will be heading to a perilous, tortuous and discomforting hajj experience! Leaving Madinah could be fun if things go well; otherwise your passport may be misplaced somewhere and you could end up in a horrible nightmare. Not only you but the problem will affect all members of your group because passports must be complete before the bus is allowed to leave. Sorting passports for groups is a 48-hour task that officials of such groups must commence as soon as they arrive in Madinah. They will repeat the same exercise before leaving Makkah to Jeddah, or to Madinah in case the group starts with Makkah. Misplacement of one passport affects the movement of the entire group. This is normal and everyday occurrence given the nature of the procedure involved in the way hundreds of thousands of passports are collected and kept. The computing system introduced recently is only helpful when passports reach the pilgrim office and are entered in the right order. What is indeed abnormal and suppressing is when the entire passports of a group are found intact even though they were collated from variant points and amidst thousands others! Confusion may arise from the people working at the airport collation point. Not all members of the ad hoc staff are either well-trained or even literate. A Lufthansa flight may land with passengers from Nigeria and many other countries. Their passports are collected and distributed according to their nationalities. Your passport could be put in the wrong bag containing passports belonging to pilgrims from Germany for instance (in the thinking of the official, Lufthansa is a German company; anyone on it should be German!). You or your tour operator cannot do anything about this, avert it or be blamed for the misplacement. Call it ill-luck if you please; I prefer to call it ill-preparation by the officials. Nobody will even notice it until when your group is to leave Madinah. Your passport is not seen among the same group that arrived on the same aircraft. That is the use of the card or hand band that pilgrims are given at the airport upon arrival. It is a distinguishing mark to set your group apart for the purposes of sorting your passports at the time of departure. Many pilgrims will neglect it or throw it away, not knowing that this little card or band means a lot when you have a case of missing passport. It will guide the officials in locating it. Now, for the passport that was placed wrongly in the German pilgrims bag as we see above, the African Non-Arab Pilgrims Office will be busy searching for that missing passport in its offices around Madinah not knowing that the passport is in an obscure bag amidst the European Pilgrims Office. This seemingly trifle mistake may take at least 16 hours to correct, and, if dusk sets in, the group cannot leave Madinah because the Bus Syndicate (the body charged with pilgrims’ transportation) is barred from night journeys. Consequently, one problem leads to another. Now that the group’s movement is stalled, you have to find fresh accommodation, and in such a period there will doubtless be no availability of rooms because your stay was according to contract. As you checked out for your aborted trip to Makkah, other groups with valid contracts with the hotel starting from that date must have checked in to the rooms you left. Your tour operator must get you another place to stay for that additional night and that he must do as soon as possible. His pilgrims need to be educated on the goings and comings surrounding the process that led to the missing passport so that they may appreciate the situation and, most importantly, be patient, otherwise they are sure to blame the company in ignorance for having a bad departure arrangement out of Madinah. I witnessed the above scenario where the pilgrims were insinuating that the tour operator had no accommodation in Makkah therefore he was trying to delay departure out of Madinah so he could cut costs and have them stay more in Madinah and less in Makkah. Sheer ignorance! Unfortunately, the pilgrims churning out these weighty but unsubstantiated accusations were already in their ihraam ready to start chanting the talbiyah. How easily people forget that the hajj is perhaps the greatest test of a Muslim’s self-restraint! You are never to utter words of contempt nor insult and slander. Yes, a tour operator may cut costs in hajj and short change the hajjis if he is the type that does not see his service to pilgrims as both worship and business. Hajj is a pillar of this Deen. Whoever will offer any service to Allah’s guests, even in business, shall be rewarded, just like those who hamper them in any way shall be requited the evils of their deed. But what some pilgrims don’t know is that hajj visas could only be obtained where accommodation, transportation and other logistics have been paid for each pilgrim; the quality and standard of the arrangement may be high or low, but there must be one in place before visas are issued for the pilgrims to be in Saudia in the first place. The contract in Makkah for groups starts from 1st Zul Hijjah, so how can one leaving Madinah with his group on the on 4th or 5th of Zul Hijjah be said to be cutting costs? If anything, the additional night in Madinah is loss as rooms for the group were ready in Makkah 5 days earlier. In Makkah you have to start with the field office where your passports will be kept until your departure date. You would be quite unlucky if by the time your bus reaches the field office your hajj operator is not there or at least his representative, to lead the pilgrims to their place of stay in Makkah. The field office, guided by the information provided by your tour company, will take you to the place of accommodation contained in the contract signed by your tour operator. Do not panic in case you find yourself in a dishevelled pilgrim apartment on the way to Jeddah or the outskirts of Aziziyyah, rather than the hotel stated on your package. Your hajj operator was constrained to present a pilgrim apartment to the Hajj Ministry for your Makkan accommodation because this is faster and more acceptable to the Mu’assasah (Establishment of African Pilgrims under the Hajj Ministry) in processing the pilgrims’ contract for hajjis coming from African non-Arab countries. In fact, companies from this region are not allowed to keep their pilgrims in hotels (it’s like the restriction is lightened this year). Probably every hajj organizer, with the exception of this writer, had to sign an undertaking not to put pilgrims in hotels. With this edict I have always resisted compliance. Thus, if a hajj operator desires to use hotel in accommodating his pilgrims he has to pay for cheap apartment which he would not use (operational loss) but only for the purposes of obtaining the necessary documents to process visas for his hajjis, and also pay for the hotel where the pilgrims will stay for certain. It does seem there is a different way Arab pilgrims are treated here; another set of rules for African Arabs; another set for Europeans and, lastly and the least, another set of rules govern ‘African Non-Arab’ pilgrims, as people from Nigeria and other black countries are called. Now, this above arrangement into which the hajj operator was forced to enter, in spite of the attendant loss, is against the law stipulated by the Saudi Hajj Ministry in accommodating pilgrims. The Hajj Inspection Team must see evidence of your pilgrims staying in the place stated in your contract documents. Any deviation from the ratified accommodation contract puts your company at risk of being blacklisted for violating hajj regulations. The point I’m trying to make is to assuage your fear (you, the pilgrim) in situations where you see the bus heading to a settlement very far away from where you were told your accommodation would be. What is important here is constant communication with your hajj operator in case his representative is not with you at the time and his Saudi mobile is reachable. Any hajj operator worth his name must be present at the field office where he knows that his group is likely to face this kind of confusion. Why on earth will pilgrims from America, Europe and even Egypt be allowed to stay in hotels of their choice while those of black Africa are consigned to pilgrim houses far removed from the Haram? They said in times gone by, our hajj operators used to sign contracts with hotels, obtain visas only to cancel the reservation later, collect their money and leave the hajjis stranded during the period of hajj without accommodation. The private hajj operation industry, despite the effort of the current leadership of the National Hajj Commission of Nigeria (NAHCON) to sanitize it, is not altogether weedless, but at the same time we must concede that the 21st century hajj organizer operates in a competitive climate, vying with his colleagues in offering better services to the hajjis, and of course, he is more sophisticated than his predecessors whose hajj operations did not enjoy the technological advantages of today’s world. Thus, it is not fitting to deny our pilgrims the use of hotels due to what private hajj operators did in a distant past. Every year when confronted with the issue of the ban on keeping pilgrims in hotels, I would complain to the chairman of the Mu’assasah, Sheikh Abdul Wahid Saifuddeen Abu Ahmad who listens and directs head of the accommodation section, Dr Adnan, to grant exception for my group to stay in hotels of my choice. This concession, I feel, should be extended to my colleagues in the industry. NAHCON has directed all hajj operators to standardise their services to a level above what obtains at the state pilgrims’ boards. But this directive places more emphasis on upgrading services at tents in Minaa and Arafaat, hence the instruction to register pilgrims with the Additional Services Department of the Mu’assasah. NAHCON will do better by ensuring that all companies are allowed to sign accommodation contracts with hotels according to their packages without hindrance. It will indeed be meaningless to have a VIP arrangement for pilgrims in Minaa and Arafaat only to keep it them in ‘no-star’ apartments far away from Haram. There are 3 grades (A, B and C) of Additional Services in Minaa and Arafaat provided by the Service Plus Committee of the Mu’assasah. What you should know here is that your hajj operator is not the service provider; things are not under his control. Be ready to be inconvenienced by a number of things that may go wrong; hardly will your hajj operator be of any meaningful succour. Oftentimes food is not sufficient not because it is in short supply but because the gates to the tents are so porous that people from outside come as visitors to dignitaries (and politicians) and deplete what is served and many legitimate hajjis go without food. How can somebody who is on hajj and in ihraam eat what is not lawful to him; going around the Haram with stomach filled with Haraam! Of course there are hajjis and there are hajjis; not all who make the tawaaf every year do so with pure intentions, not all who pay to travel for pilgrimage get the reward. They squander the chance to wipe their records clean, to make amends with their Lord and start afresh. These are those for whom hajj is a mere mechanical, yearly ritual of bustle and hustle. They see no wrong in stealing, lying, backbiting and even fornicating during this holy month. They fight, swear, curse and wrangle- all the things a pilgrim should never do! That they would not travel at all would have been better, it is such a pity. The sad part is that they have succeeded in giving the devout and honest pilgrims a bad name by their manners and actions; the Saudi man does not know the difference. To him, all Nigerians are uncouth and dishonest. Allah’s messenger said the one who goes on the hajj pilgrimage without committing any obscenity or indecency will have all his past sins forgiven and he would return to his home devoid of sin just like when his mother just bore him. I pray anyone who has read this will take heed and not mar his hajj with his hands and tongue. May Allah accept our ibaadah, aameen!